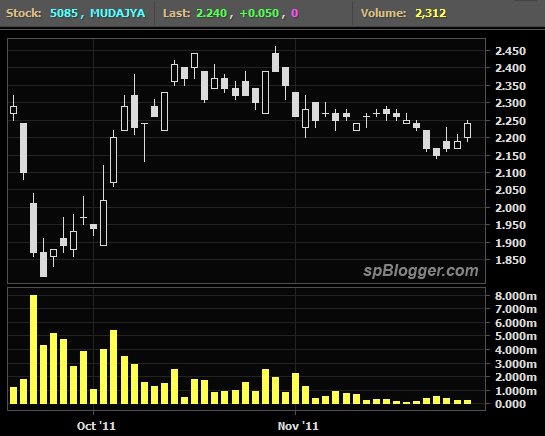 Mudajaya target price was downgraded by CIMB Securities from RM 4.81 to RM 4.00. OSK Research maintains Mudajaya target price at RM 3.94 (upgraded on last research report). Around 75% upside but no one seem willing to buy Mudajaya stock. Why? Previous articleGoogle Panda ‘kill’ pro blogger? Next articleBest way to kill a blog ~ Do nothing! Mudajaya Group Berhad ~ too bright already?